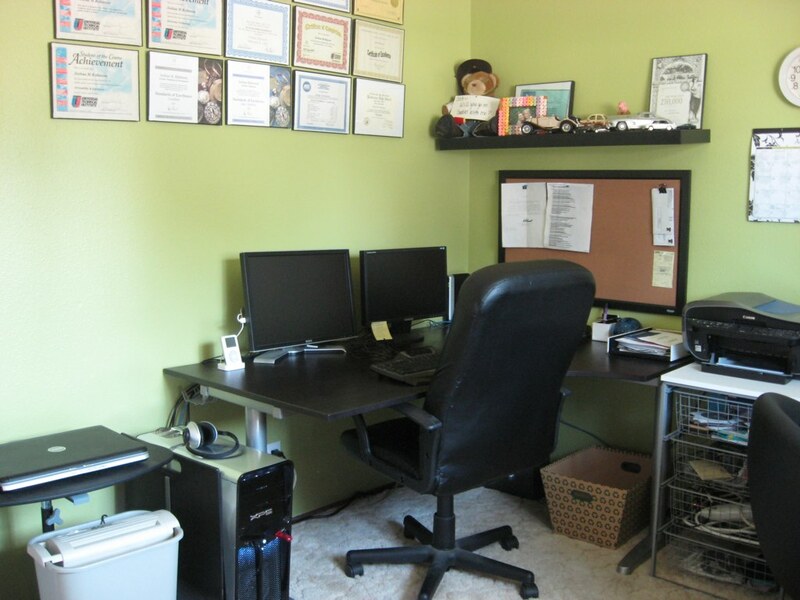 I finally got around to taking pictures of the office room. Been having a lot of problems with our primary camera lately so there’s a possibility of going camera shopping real soon. 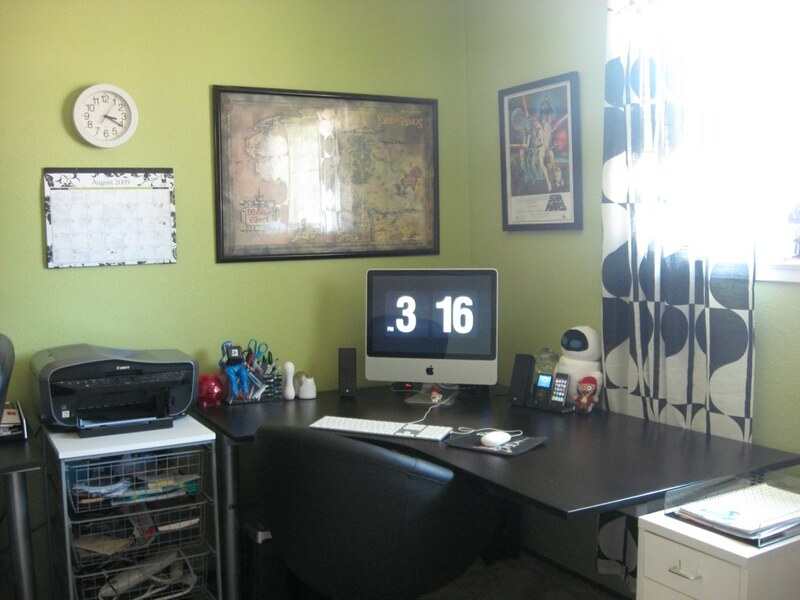 Anyway, here is where I do what I do! 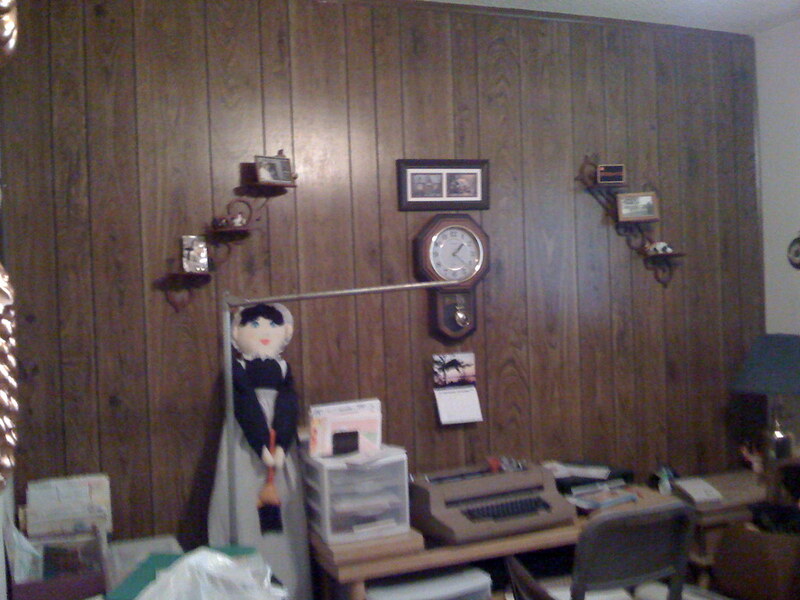 Sometimes I can’t believe that it used to be covered in paneling. 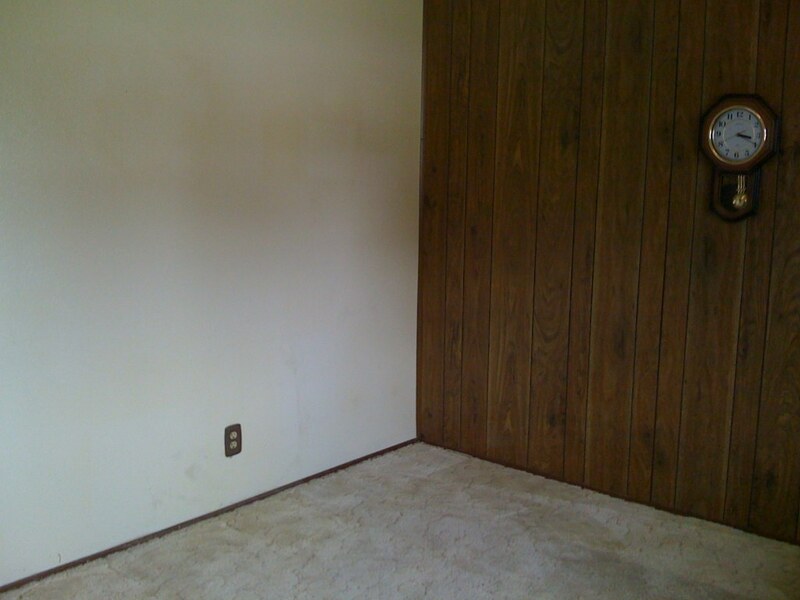 That is what it looked like before when my grandma was still living and then after we thoroughly cleaned it out. I’ll never forget the morning we began taking the panel off. 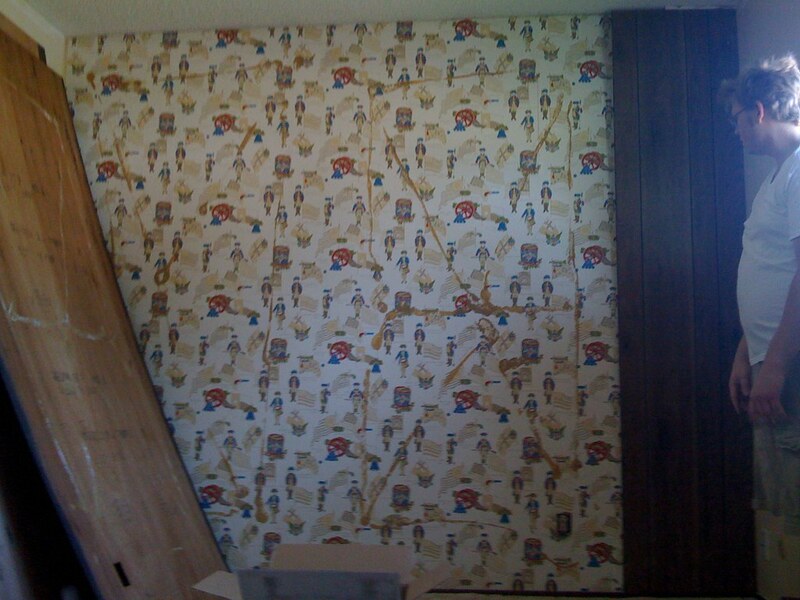 The colonial wallpaper… OMG. Luckily it came off quite easily. 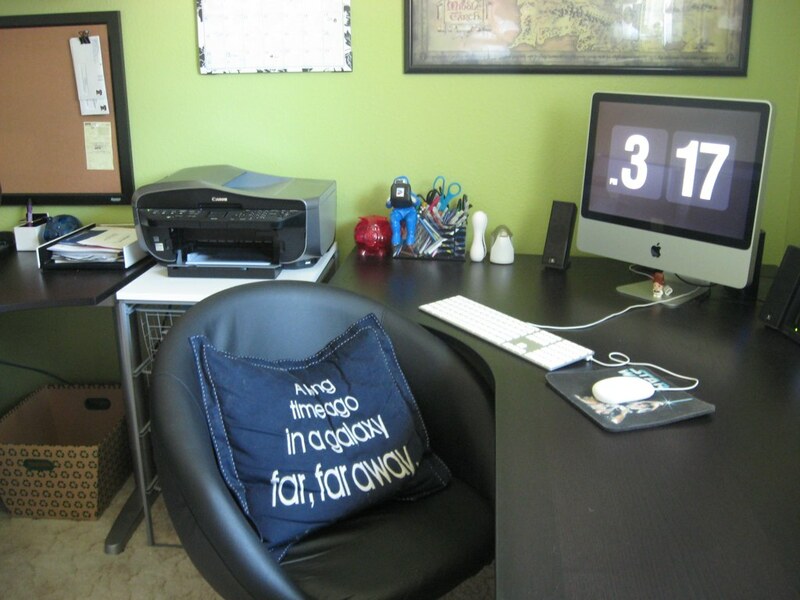 3 months later… Joshua’s side and my side 100% finished. 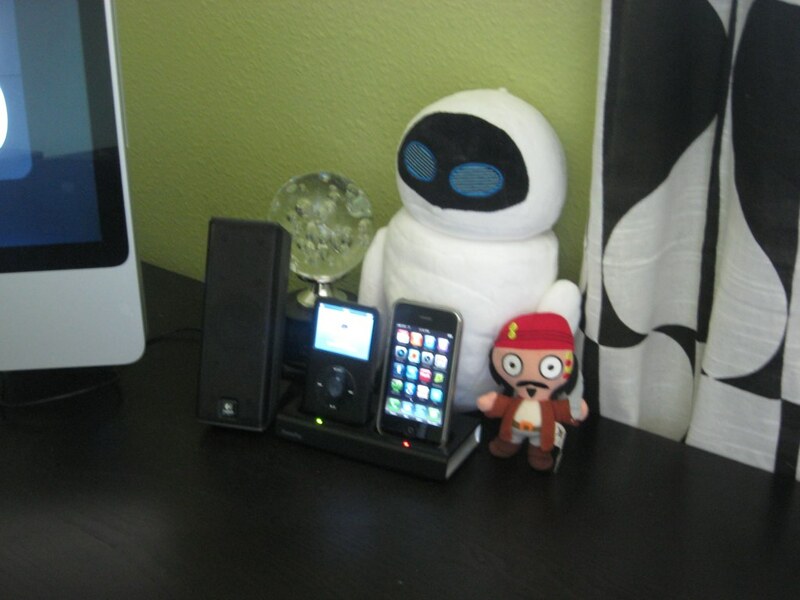 Home to all my geekish glory. My Star Wars pillow from Pottery Barn Kids lives in my chair when I’m not in it; it usually hangs out on the floor so Bella can lie on it, hah. 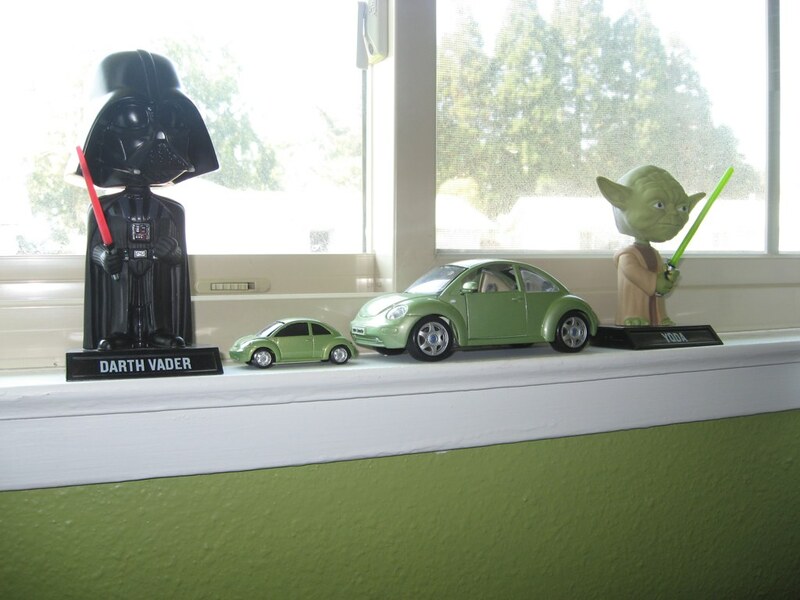 My Darth Vader bobblehead, two toy models of my Beetle, and my Yoda bobblehead occupy the window ledge. 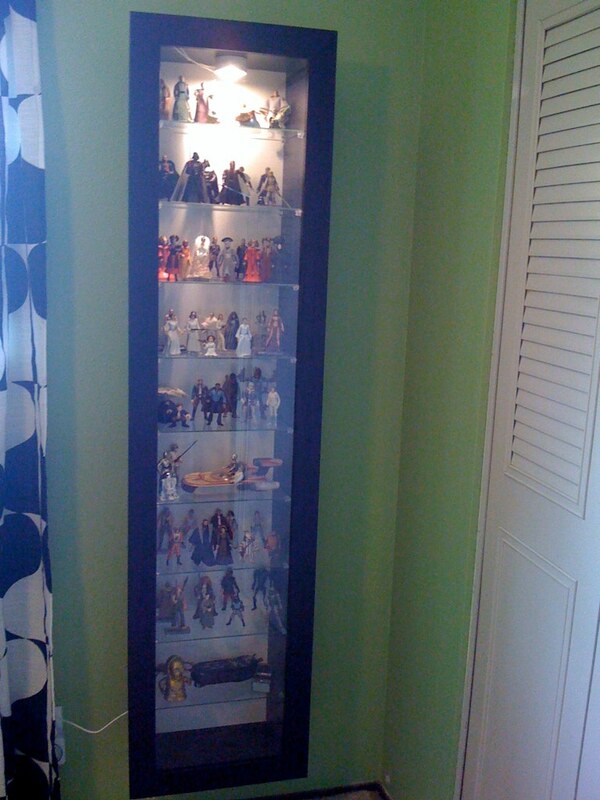 My IKEA BERTBY shelf, home to all my Star Wars figurines. 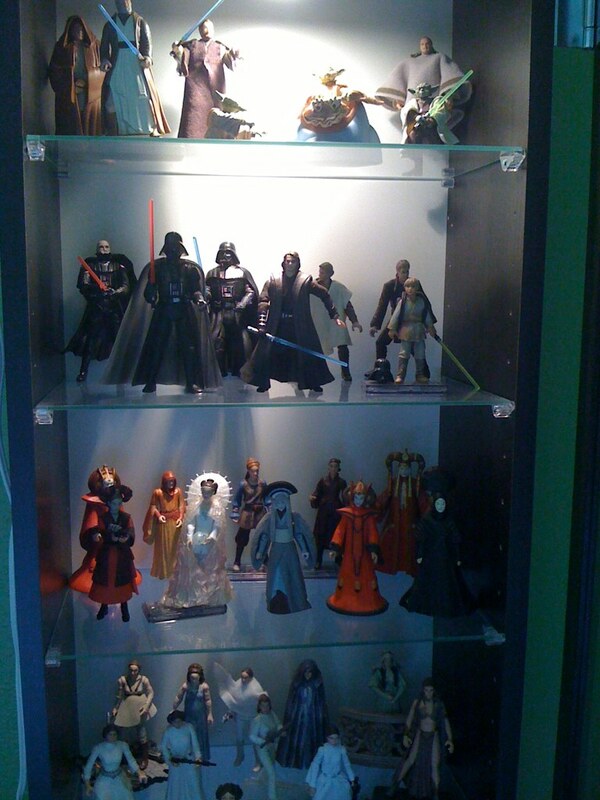 I’m mainly a Padme Amidala/Princess Leia collector. I have 9 out of the 11 outfits worn by Queen Amidala from Phantom Menace. I have all Leia’s outfits from A New Hope and Empire Strikes Back and 2/4 from Return of the Jedi. 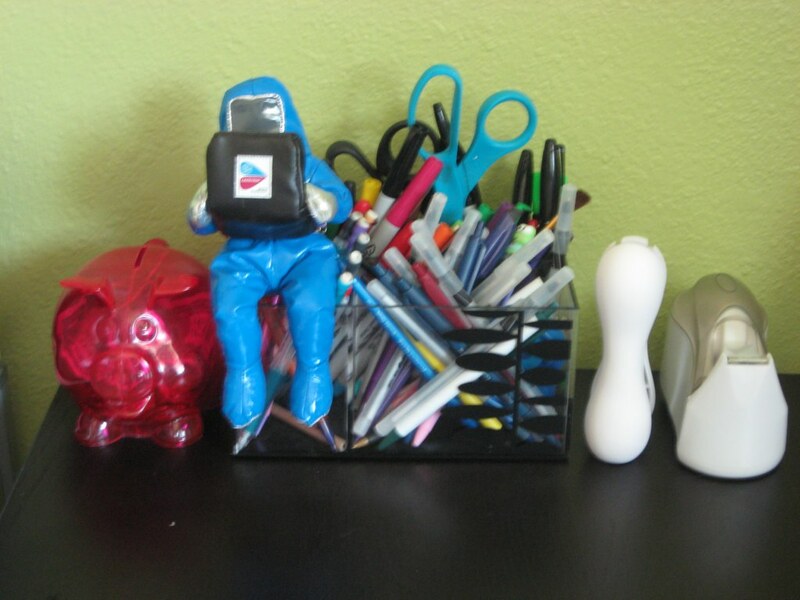 Joshua’s side – the cleanest you will ever see it. 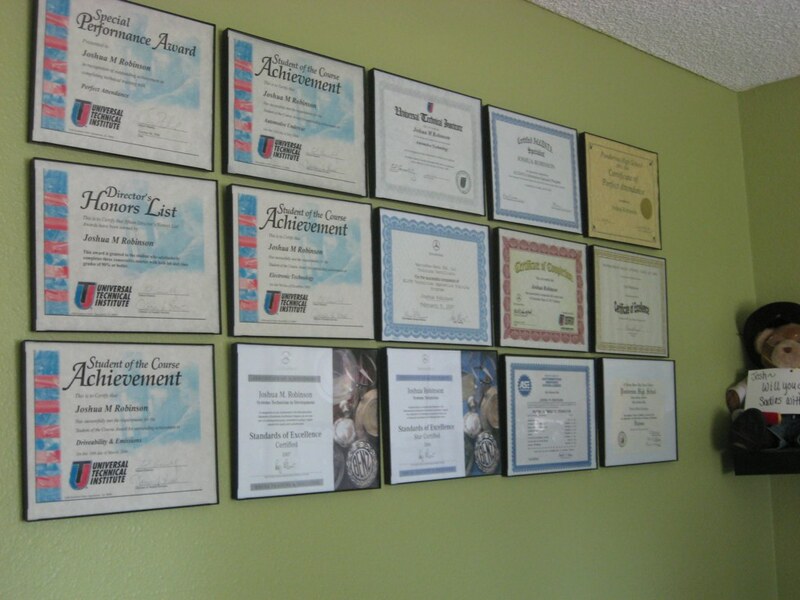 Awards Joshua has won throughout his car-schooling and other Mercedes/car-related achievements. 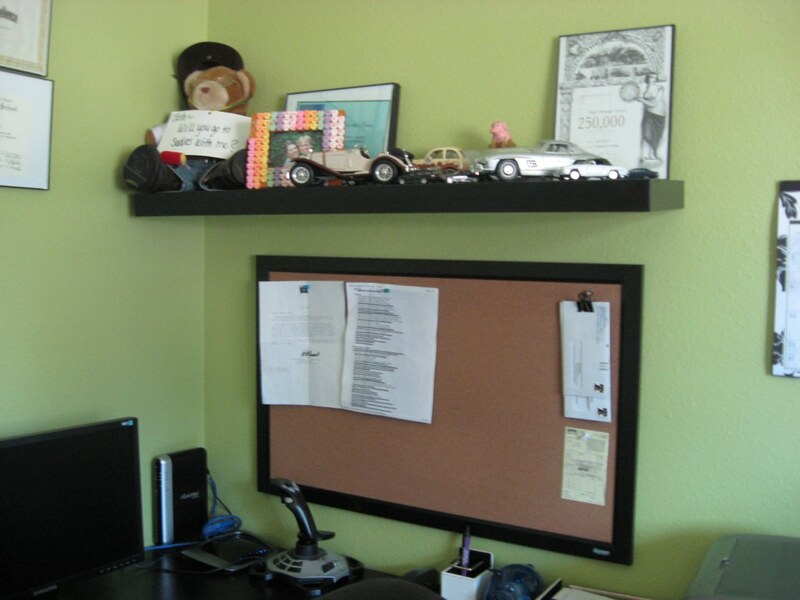 His shelf holds a few mementos from our relationship as well as his toy car collection and high mileage award for his Mercedes station wagon. 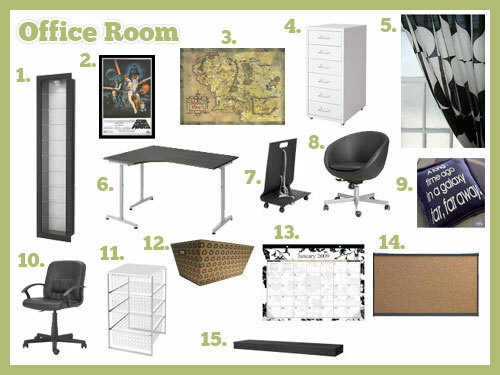 So what makes up this room?